Our California ‘Low Approach’ Slidebacks have payloads ranging from 1.5 tonnes to 8 tonnes and are designed and individually custom built to fit the majority of European chassis ranging from 3.5 tonnes to 15 tonnes GVW. Because of our specially designed Initial Low Approach Angles you will find you can load cars with low spoilers more easily. 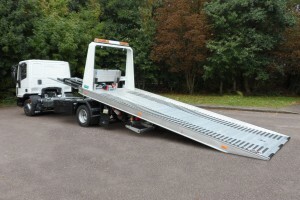 Our California ‘Ultra Low Approach’ Slidebacks have payloads ranging from 3.5 tonnes to 12 tonnes and are designed and individually custom built to fit the majority of European chassis ranging from 3.5 tonnes to 15 tonnes GVW. Our Ultra Low Loading Angles give you the ultimate in low loading angles. 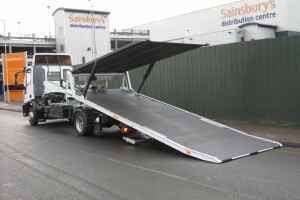 Our ‘Mojave’ Multi Car Carriers, available on both our ‘low Approach’ bodies are designed and individually custom built to fit the majority of European chassis ranging from 12 tonnes GVW and above. 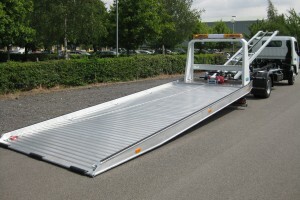 Our new design of Lie Flat Overhead Car Carrier which hides the hydraulic rams when lowered, makes it easy and safe to load and unload cars with a fork lift.